Is Qualcomm Stock Ready for a Comeback? 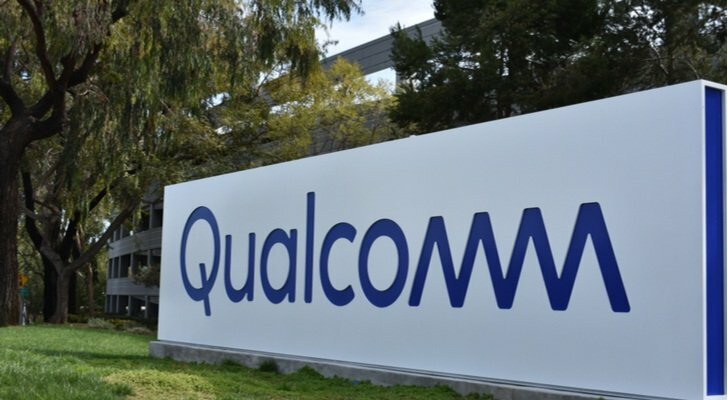 When Qualcomm (NASDAQ:QCOM) reports its earnings after the market closes on Nov. 7, analysts are expecting ho-hum results. Earnings of 82 cents a share on revenues of $5.53 billion are roughly in line with the June numbers. There are hopes for 89 cents, but that’s irrelevant to the investment case for QCOM stock. The investment case beyond the upcoming QCOM earnings report, is based on hopes that peace will break out. Peace with Apple (NASDAQ:AAPL) will bring an enormous dividend because, as Qualcomm estimates, Apple is currently withholding $7 billion in royalties from it pending litigation. That’s the equivalent of four months’ revenue for Qualcomm, which does make communication chips but is best known for holding patent rights on key mobile technologies. How much Apple should pay for those rights is at the heart of the long-running dispute. Apple has been trying to break away from Qualcomm for years, signing Intel (NASDAQ:INTC) to make new modem chips, but it can’t get any financial benefit from that because of QCOM’s royalty rights over the technology. Even if it buys chips from Intel, it still must pay QCOM. Qualcomm’s patent prices make that uneconomical. So, Apple is in court trying to call its patent rights “exhausted.” It’s arguing that Qualcomm’s patent rights are paid for once a product is purchased, as they would be after you buy a Lexmark toner cartridge for a printer. Apple has the Federal Trade Commission on its side in these arguments. Regulators want Qualcomm to license its technology on “Fair, Reasonable and Non-Discriminatory” (FRAND) terms, saying its patents give it a monopoly threatening innovation. Qualcomm responds that it has agreed not to sue over the patents at issue in the Apple case, and that renders any case against it moot. The case is presently before U.S. Judge Gonzalo Curiel. The risk, for QCOM stock owners, is that courts and regulators could thus invalidate future royalty claims. Even without Apple on its side, however, Qualcomm has a bright future. For one thing, Qualcomm definitely has Amazon (NASDAQ:AMZN) on its side. Qualcomm chips are powering Alexa devices. For another thing, 5G is coming. Perhaps it’s not coming as fast as Nokia (NYSE:NOK) once hoped, but it is coming. Qualcomm is pushing a new version of WiFi called WiFi 6, one it hopes will encourage people to upgrade both devices and routers, delivering speeds up to 10 GBits/second. And it has a new version of its flagship Snapdragon chip that will improve mobile devices’ cameras and gameplay. It’s a big lineup, as our James Brumley recently noted when he recently wrote about QCOM stock, and those benefits are not in QCOM stock due to the legal dispute. At its Nov. 5 opening price of about $63.33 per share, Qualcomm stock is selling for less than 18 times earnings, based on its anticipated third-quarter results. The market cap of $93 billion is less than five times its 2017 revenue, which in turn was held down by Apple’s refusal to pay royalties. Qualcomm stock is presently selling at a discount to the S&P 500 and has one of the lowest P/E ratios in technology, mainly due to legal uncertainty. To keep excitement in QCOM stock high, Qualcomm has been low-balling its earnings estimates, so it can report solid beats on the bottom line. For the June quarter, for instance, the QCOM earnings report beat estimates by 30 cents per share. Bank of America says don’t buy Qualcomm stock, based on Apple’s slowing smartphone growth, and the maturity of that market. But 12 of the 26 analysts following the stock still have it on their buy lists. The bottom line is that you can buy QCOM stock now or buy it later, but owning it is something of a no-brainer in a growth portfolio. Dana Blankenhorn is a financial and technology journalist. He is the author of a new mystery thriller, The Reluctant Detective Finds Her Family, available now at the Amazon Kindle store. Write him at [email protected] or follow him on Twitter at @danablankenhorn. As of this writing, he owned shares in AAPL and AMZN.